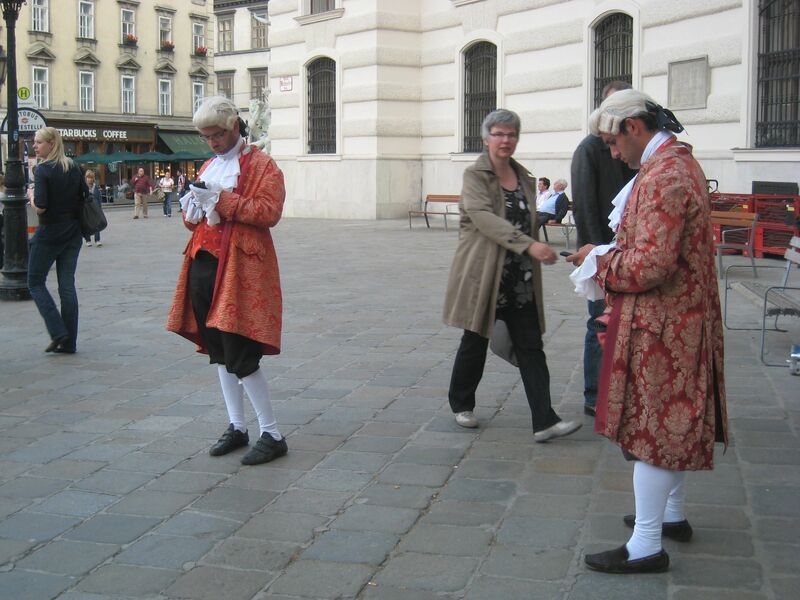 There are Mozart’s all over Vienna, selling tickets to concerts and such, and texting! This entry was posted in Vienna and tagged Mozart, Vienna. Bookmark the permalink.